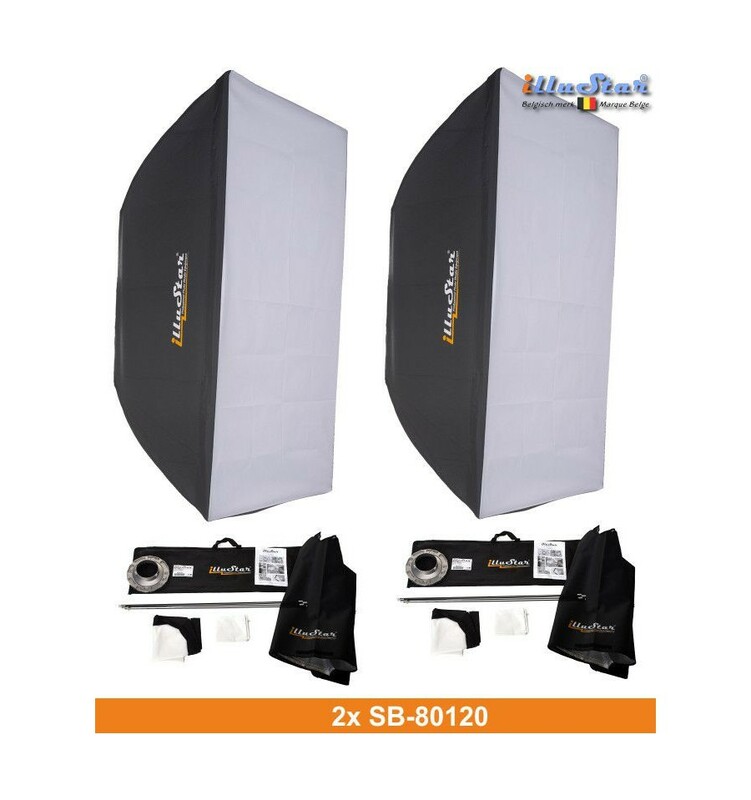 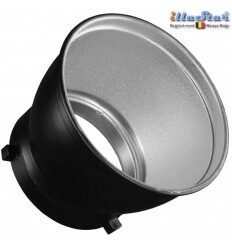 2x FI800A - Studio Flash - Stepless variable 25~800Ws, (Bowens-S adaptor), E27 250W halogen - Cooling fan. 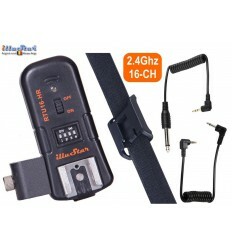 2x Synchronizing cable (5 metres) with phone jack 6.3mm. 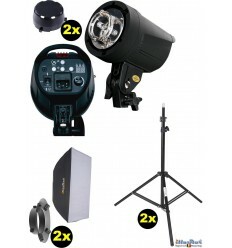 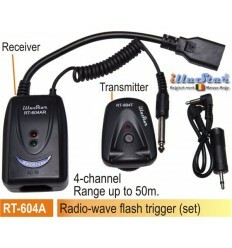 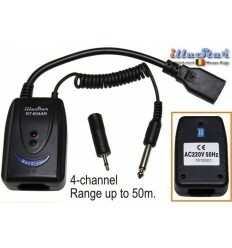 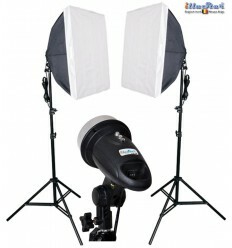 SET-FI-800A Complete and very affordable flash set for both the professional photographers and ambitious amateur. 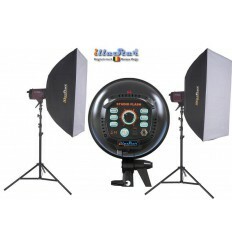 The illuStar® FI-800A is a versatile and easy to operate studio flash for professional photographers as well as ambitious amateur. 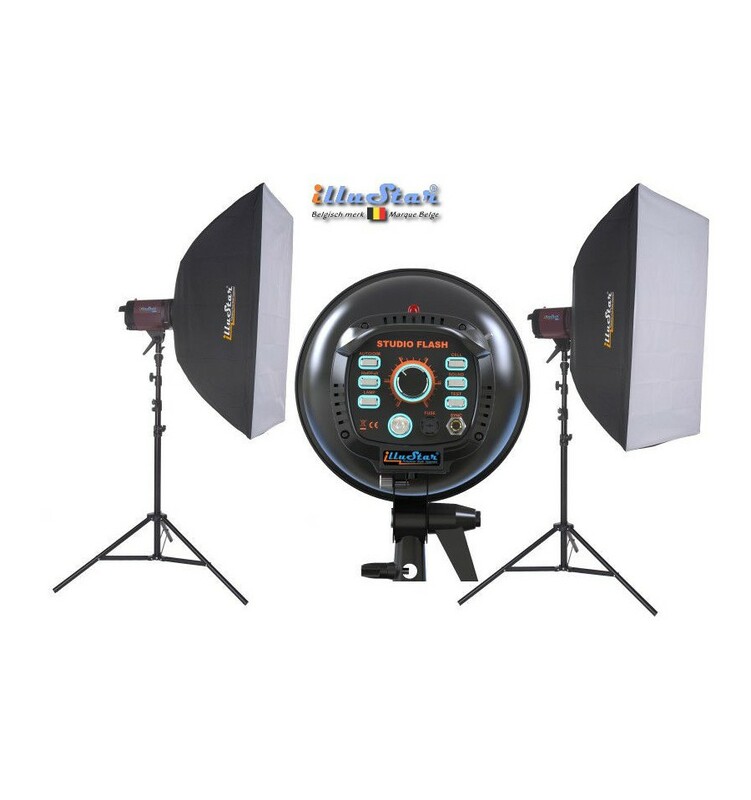 The sophisticated electronic circuitry and high quality condenser technology ensure a higher stability of the flash energy and color temperature, an extremely fast charging and a short flash duration. 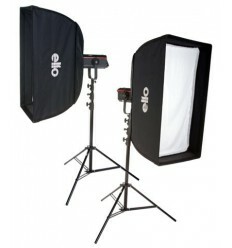 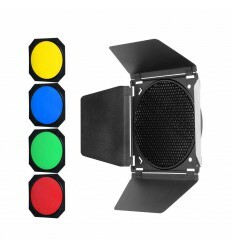 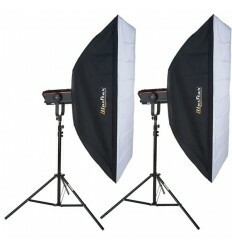 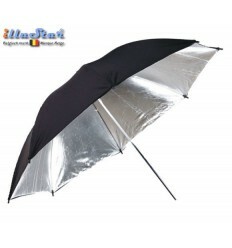 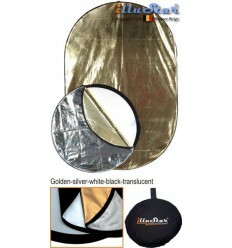 Because of its compact and light concept it is perfectly suitable for use on location and in a studio. 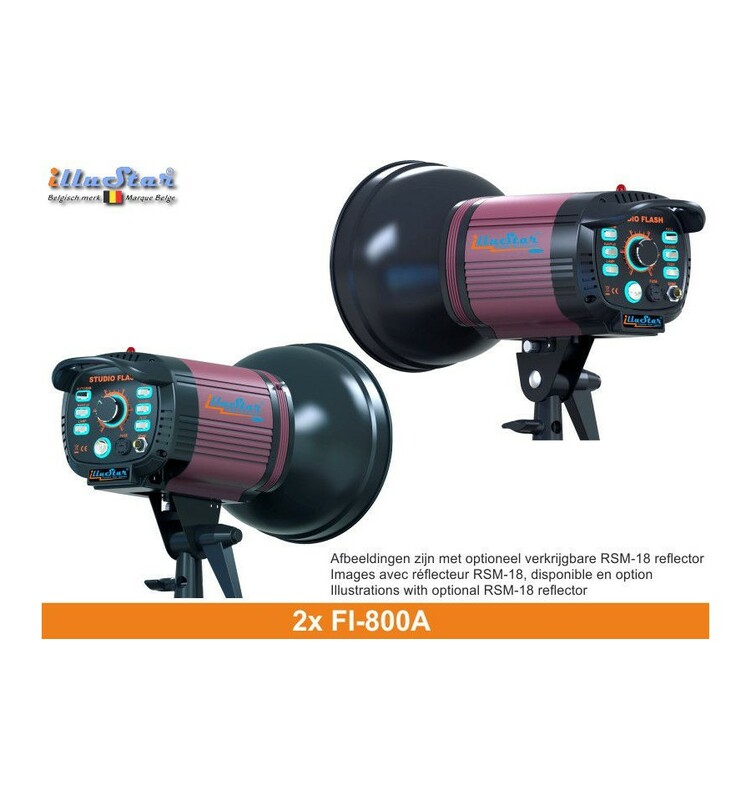 De FI-800A is a professional studio flash, where particular attention has been paid to the quality of its metal casing and aesthetic design. 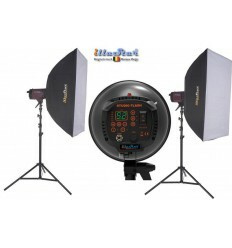 Remarkable for a studio flash within this price range, is the efficiency of the cooling. 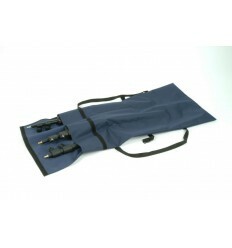 The tried design with in- and outlets for air and a quiet fan, make for perfect air-circulation. 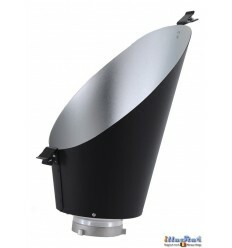 Important: no PVC parts were used at heat-exposed spots, an exceptional feature for a flash in this price range. 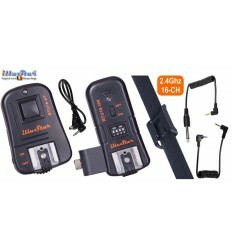 Flash energy 800 Ws (Joule). 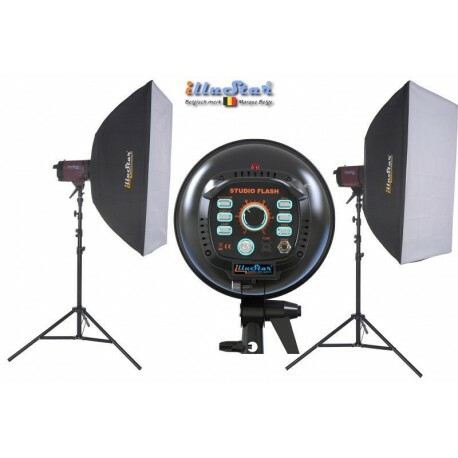 Flash energy steplessly variable over 6 stops from 1/32 to 1/1 with high precision. 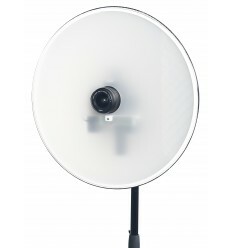 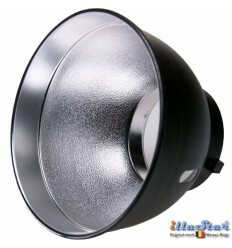 Halogen modelling lamp Halolux 250W - E27. 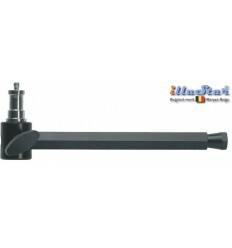 Robust casing in steel and aluminium. 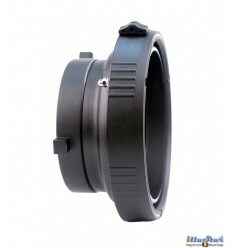 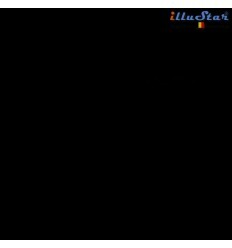 Effective and quiet ventilator cooling. 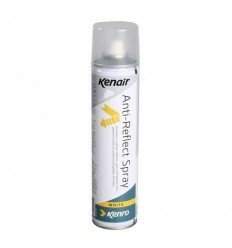 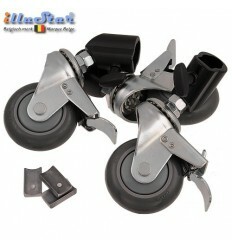 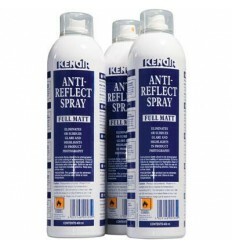 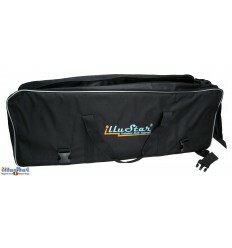 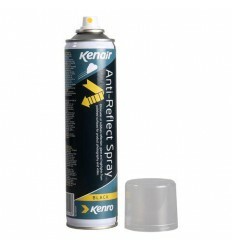 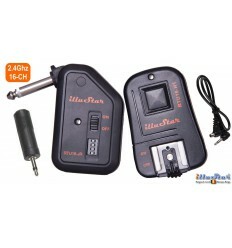 Professional version with very high mechanical strength and stability. 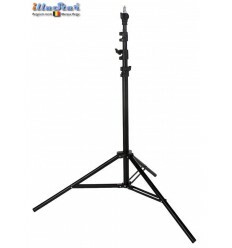 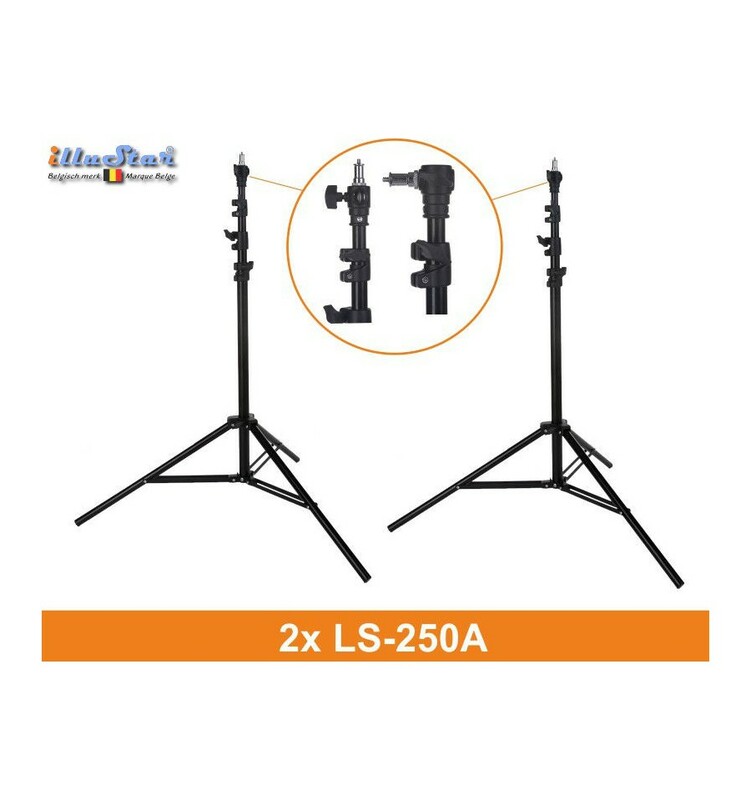 Compact and lightweight light stand with pneumatic shock absorber and is equipped with a robust locking system. 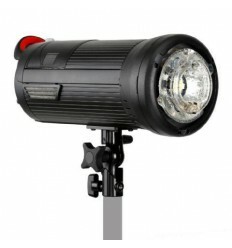 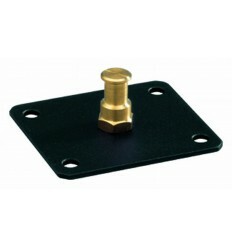 The end is provided with a standard spigot (SP-D4M8M) which can be placed horizontally and vertically, on which all conventional studio equipment can be placed.